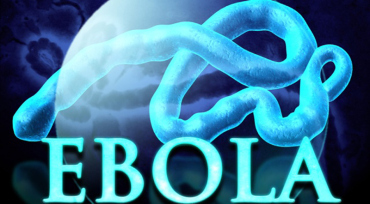 Studies have shown that Ebola can be transmitted through breathing-in the virus (airborne). This particular study, for example, showed how monkeys contracted the Ebola virus from pigs that were in separate cages, with no possible physical contact. It’s understandable, however, why the CDC is assuring the public that Ebola cannot be contracted through the air. Because if people really knew that Ebola could be transmitted through the air, then the panic from that information could be more damaging than the disease itself. All the information you hear out there states that Ebola is contracted by bodily fluids, so I’m assuming when you get sprayed in the face by someone sneezing without covering their mouth probably counts as “bodily fluids exchange”. Regardless of whether Ebola could be contracted airborne or not, everyone should take precautions and be vigilant for yourselves and families. Plus, with the long incubation periods that Ebola can go undetected in a human body, by the time you find out that your neighbor has the disease, it’s already way too late.